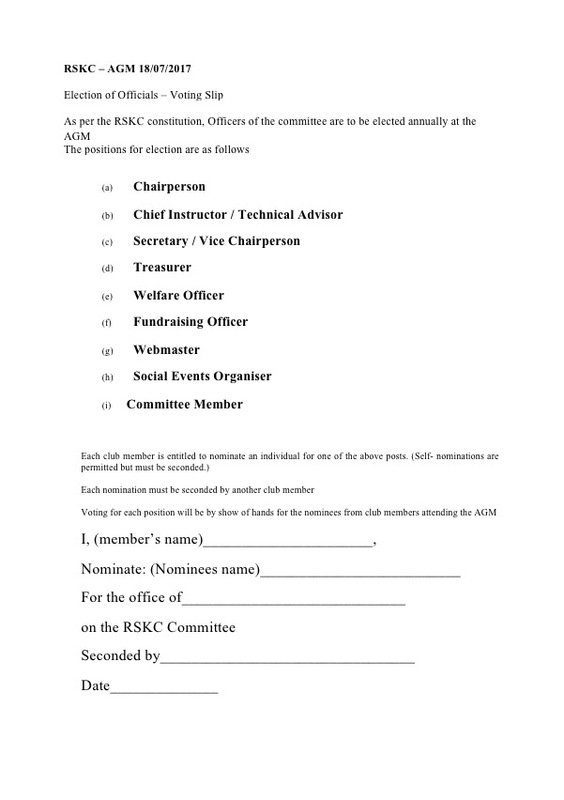 In accordance with the rules of the club constitution and to confirm the decision made in committee on 03/05/2018, I give notice that the Annual General Meeting of the Rossendale Shotokan Karate Club shall be held on 17/07/2018, at Haslingden Primary School, immediately after training. This date and time will be announced in training sessions and posted to the RSKC Facebook page. Specific agenda items must be forwarded to me in writing by 10/07/2018 for inclusion in the agenda. I attach votings slip for distribution to the members. If you have any questions or comments please do not hesitate to contact me.